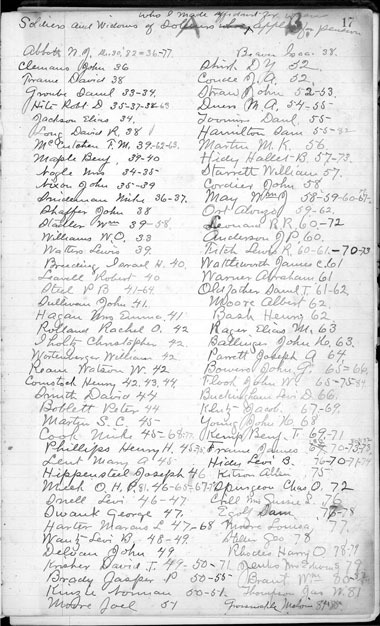 This record book is from an unknown physician in Liberty Mills, Indiana. It was made available to The Genealogy Center for scanning by Lisa Kujawa. Numerous pages are missing in the original ledger book. Blank pages were not scanned.